Do you want to make better friends with Google? If so, the first thing you might want to do is sign up for Google Webmaster Tools (GWT). Below is a quick and easy guide on 1) How to add your site to Google Webmaster tools; 2) How to enter a verification code to your site; and 3) How to add an XML sitemap to Google Webmaster tools. Before that though, let me quickly outline what Google Webmaster Tools is and how it is useful. It won’t cost you a bean. And you’re certainly not committed to anything. What is the Google Webmaster Tools (AKA Google Search Console)? Google Webmaster tools (now known as Google Search Console) is Google’s official toolbox to give site owners an extra set of tools, additional to what they already get in Google Analytics. GWT is extremely useful especially because it allows you to see how Google views your site. For example, it helps you see which keywords get high search volume and which ones get high click through rate (CTR). GWT reports help you understand how different blog posts and pages on your site appear in Google search results. In other words, Google Webmaster Tools is a toolset that allows you understand what’s going on with your website. It allows you to make intelligent decisions that are based on data, instead of taking random shots. 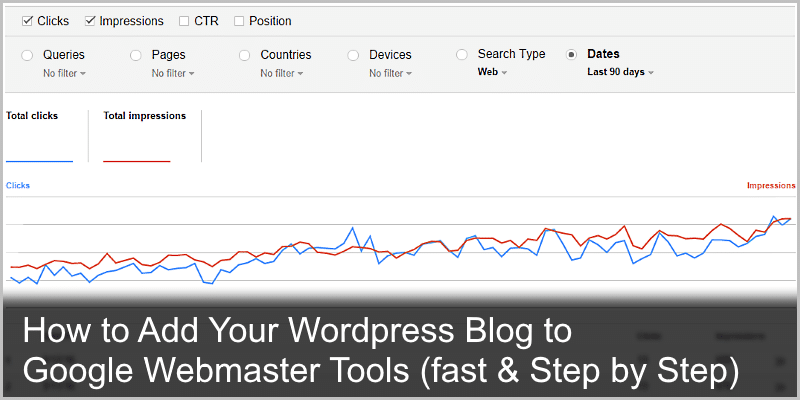 Let me show you now how to add your website to Google Webmaster tools. As a result, a small popup window will be opened. There are different ways to verify your website on Google Search Console. I am going to cover 3 easiest ones and see which one you like best. 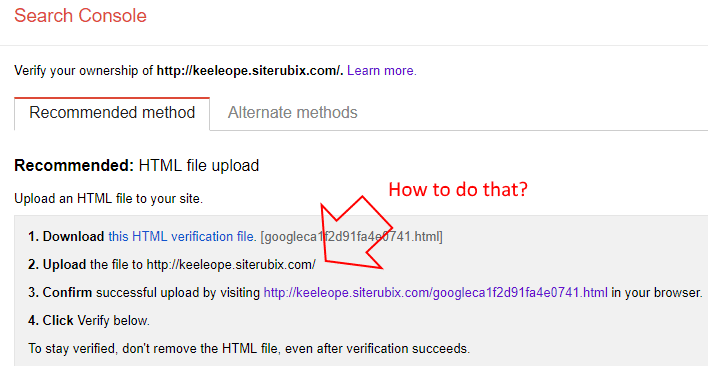 According to Google, though, their recommended method is HTML file Upload. Let’s see how to use that. As you can see from the image above, I use keeleope.siterubix.com as an example. This is my website and I want to verify my ownership. The whole process is pretty simple, isn’t it? Well, the big trouble here is that there’s no instruction on how to upload the file (point 2). After that you can click Verify below. Now you should see the message that you have successfully verified your ownership of your website. In this case you need to add a meta tag to your site’s home page. As a second step, login to your WordPress website. On the left-hand side menu, click on Appearance → Editor. Now you will see a list of templates on right. Scroll down until you find Theme header (header.php). Click on it. After that save the header.php and go back to Google Webmaster tools website, then verify your site. If you are using All-in-One SEO Pack WordPress plugin, you can copy and paste the verification key in the plugin. Save settings, then go back to webmaster tools website and verify your site. The very next thing you would want to do after the verification process is completed is to add your XML sitemap. Step 1: In your website dashboard, navigate to Plugins section. Click on Add New, then search for “Google XML Sitemaps.” Install the plugin, then activate it. However, search engines haven’t been notified yet. That’s why you need to add your sitemap.xml file to Webmaster tools. Step 1: Head back to Google Search Console, then click on your property (your newly added website). Finally, what do you think about GWT? Please leave me a comment below. Thanks for writing such a good article on Google Webmaster tool. I am looking to try these techniques for my website. Your tips are helpful for the person to make good blog marketing for their websites or blog. This content is so valuable and surely unique that people are happy and really helpful for them. there is no any other ways to get customers than Google indexing and Marketing and no any pressure from your side. Neither in the form of request nor hint or reminder in any ways. Hey, Birchi, and thank you for the comment. Also, thank you for the kind words. I am glad to hear you found the article helpful. 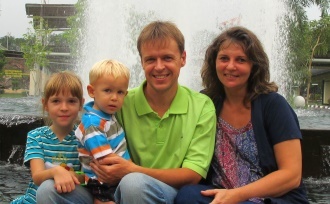 What a helpful and important post – thank you for publishing it. I have bookmarked it and your excellent site. What you made me realize is that I had posts indexed under the old HTTP without the S and that I needed to have all versions of my site indexed, so thank you. Hi, Doug, and thank you for the comment and kind words. I am glad to hear you found the article helpful. Truth be told, Google Webmaster Tools rebranded to Google Search Console. Other than that, the tutorial here is still correct.